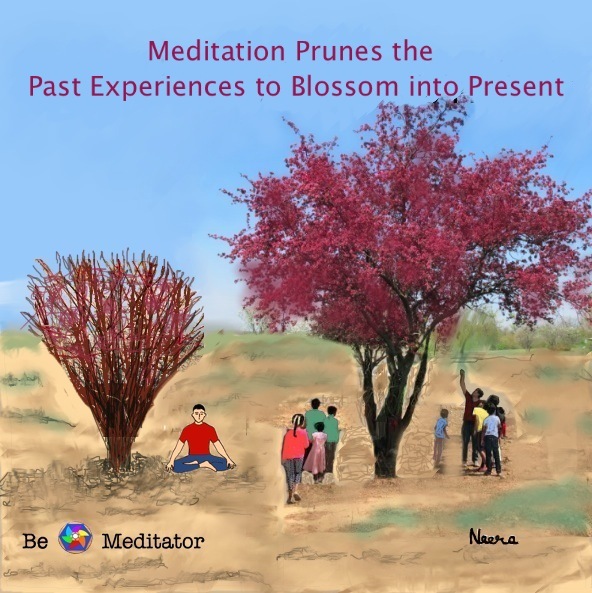 Can we prune the experiences of past and work on remaining to blossom into present? As we go on meditating our minds learn to' let go'. for instance, we start telling ourselves, I should not interfere in others affairs, its their business. Now we don't get worked up, when someone says " you are not trust worthy". As I know, I am working in good faith and thats enough. Meditation is helping me in pruning those negative thoughts and harnessing the energy within. "Meditate to blossom into a fruitful present"